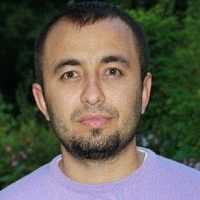 Dr. Adil Mardinoglu is an expert in the field of Systems Biology and Bioinformatics. He received his Bachelor’s degree from Istanbul Technical University, Turkey in Electronic and Telecommunication Engineering and his Ph.D. from Waterford Institute of Technology, Ireland in drug targeting applications. He worked as a postdoctoral researcher at Trinity College Dublin, Ireland and Chalmers University of Technology, Gothenburg, Sweden. His recent research activities include the generation of the context specific genome-scale metabolic models for healthy human cell-types e.g. adipocytes, hepatocytes and myocytes as well as certain types of cancer e.g. liver cancer. He employed the reconstructed comprehensive models for revealing the molecular mechanisms of obesity associated diseases as well as for discovery of the novel biomarkers and drug targets. He also reconstructed personalized and population based models for liver cancer patients in order to identify anticancer drug targets that can inhibit the growth of, or kill tumors.